Within the confines of a man’s home is a place reserved for different purposes, and his drink is no different. The urban man often lives in confined spaces, but this shouldn’t mean he has to compromise on simple pleasures. Made from walnut and sycamore wood, the Trafalgar Bar Box includes crystal tumblers, decanters, ashtray, and magnetic wooden coasters. 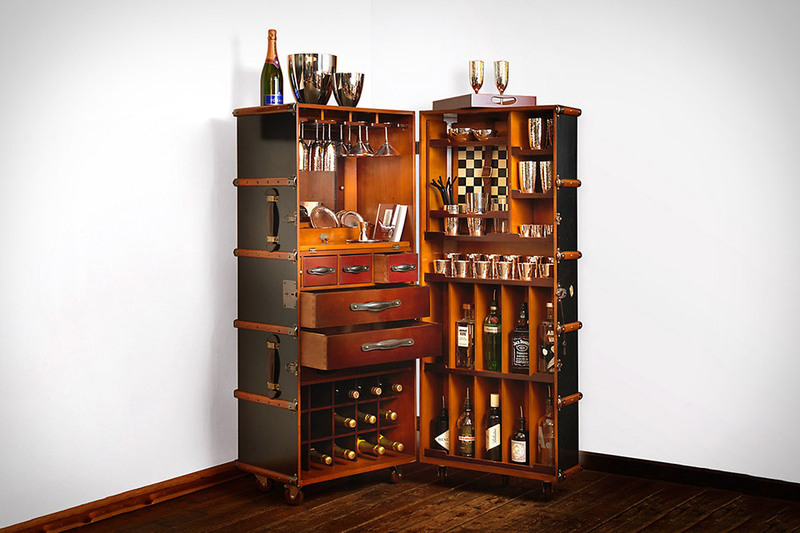 With room for 20 plus bottles, the Libation Station is perfect for the home where space is an issue. 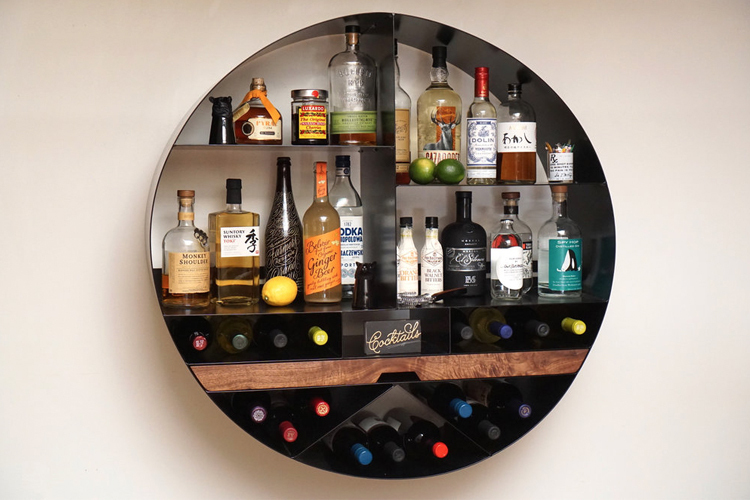 A wall mounted space serving as a mini bar, with a slide-out wooden tray for mixing drinks, slicing limes, or stirring cocktails. 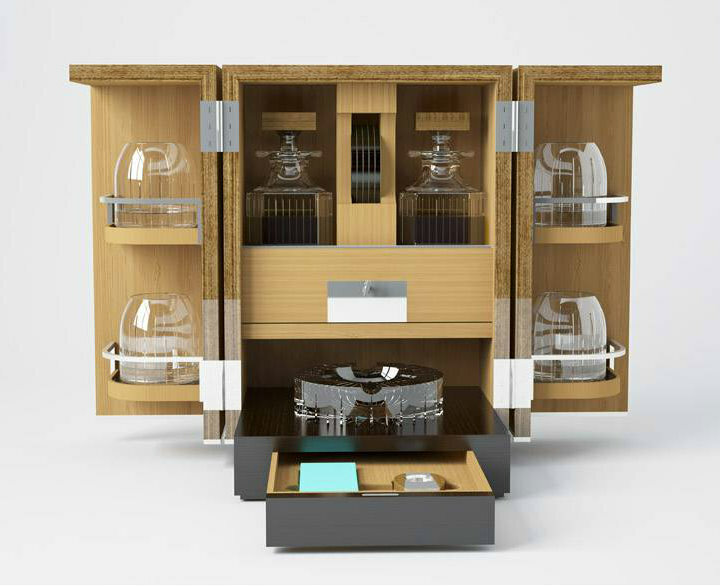 Discused as an upright trunk, the Robbe & Berking Martele Bar Trunk is a standalone mini-bar with all the necessary shelves and drawers that includes most barware, making it a great drinking station. 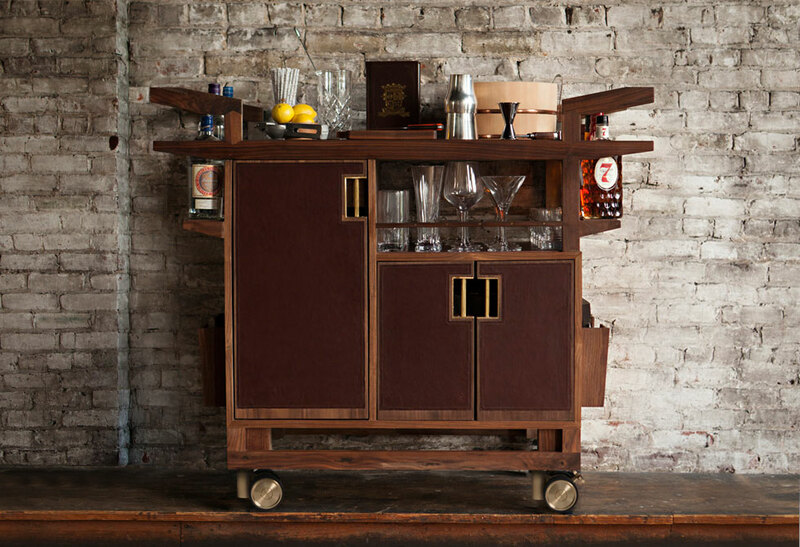 With a butcher block-like bar top, aluminum frame, and leather-wrapped brass handles, the Moore & Giles sidecar provides mobility and elegance for your drink station. A Man’s Home Tells His Story – What’s Yours?